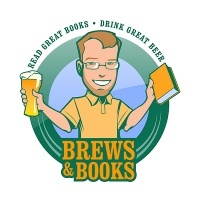 If you’re not familiar with Josh Christie’s fabulous Brewsandbooks.com website, you should be. Josh is a bookseller and beer aficionado — and he’s developed a great taste for both (and the pairing of the two). Thanks, Josh! We can’t wait for you to pair The Demoniac of Los Angeles #1 with something dark and devilish!